The injury bug has torn through the New York Yankees like polio in the early 1900s, it’s unstoppable and there’s nobody to blame. While manager Aaron Boone attempts to quiet the noise and throw nonsensical positivity into the media, there has been a bit of good news on the injury front. 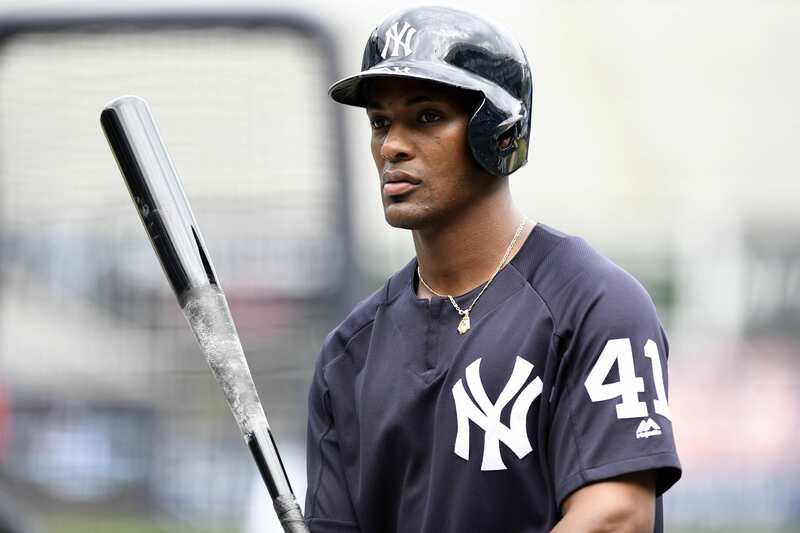 Starting third baseman and youth star Miguel Andujar has achieved the first hurdle in his rehab program – throwing lightly during a game of catch. This might not be breathtaking news but it indicates he will likely avoid major surgery and begin working his way back gradually. “Definitely felt better than I thought I would feel,’’ Andujar said of the 25-toss session at 60 feet. “We have to take it one day at a time and follow up with the program that we have in place and keep doing my treatment. That’s what we have to keep doing,’’ Andujar said. The program is only just beginning, which means Andujar has a long road ahead of him until he’s back on the starting team. In the meantime, the Yankees have utilized new acquisition DJ LeMahieu and Giovanny Urshela at third base. Starting pitcher Luis Severino has been ruled out for an additional six weeks after straining his lat. He will be completely shut down and won’t throw another ball until after the waiting period. This indicates a potential June return, which is far off and puts the Yanks in a tough spot after struggling without their ace. Moving forward, I would expect the Bombers to continue leaning on their youth with the hopes that they can maintain minimal success until the team is healthy and ready to make a playoff push.